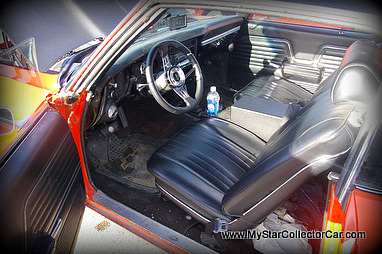 We always want an answer to a question at MyStarCollectorCar.com: why did you choose to own this vehicle? The toughest but best answers are the kind where the vehicle was owned by a now departed owner and the current owner wants to keep alive the legacy. 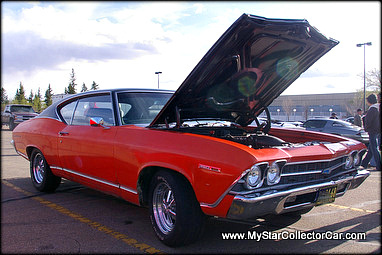 This 1969 Chevelle is one of those legacy cars because Kevin Charlton’s brother owned this Chevy until he passed away in 2004. He had owned since he was 18 years old and Kevin was well aware how important the car was to his brother. 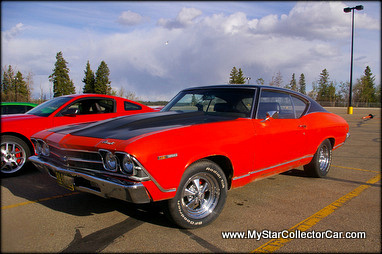 Kevin described the Chevelle as his brother’s “first real car” and the bond ran deep for his late brother. It had been in the family for 25 years because of Kevin’s brother’s unswerving loyalty to the car that mattered most throughout his life. The impact of the car on his brother was not lost on Kevin, so he decided to keep it in the family following the passing of his brother because the car and its late owner were an inseparable pair. The car reminded Kevin of his brother and it was a great way to preserve his memory for Kevin‘s family. 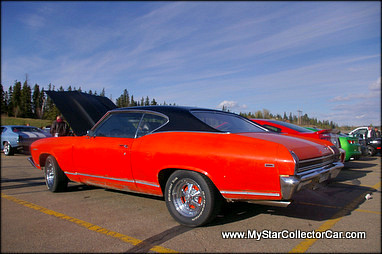 Kevin described the Chevelle as his brother’s “everyday car” because it was driven daily as a part of his everyday life. For this reason, Kevin drives it “everywhere as soon as the roads are dry enough” during the non-winter portion of the year in his part of the world. Kevin will test the seasonal changes to the maximum because he “puts it away as late as possible”, in his words. Kevin has had the car back on the road for three years after a few adjustments that included a 462 Chevy engine upgrade so Kevin can get from Point A to Point B somewhat faster than his brother did when he owned the car. Kevin does all of his own wrenching on the car even though that is not his actual trade. 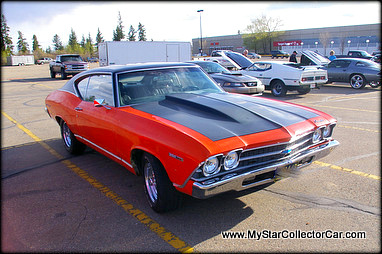 He is just one of those lucky car guys with enough natural mechanical skills to do all the heavy lifting on a project like the Chevelle. 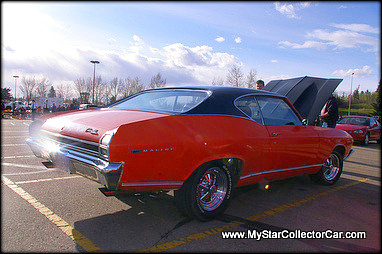 This intermediate sized car from the Chevy stable of the 60s is a striking looking car in orange paint. It looks like it means business and, with a performance-heavy drive train right back to the sturdy rear end to handle the excess torque, it does indeed mean business on the street. Kevin is an understated and low-key guy in a conversation so we had to draw our own conclusions when he said that it “does alright” in the go-fast department. We took that as a firm yes when it comes to go-fast. We liked this car. 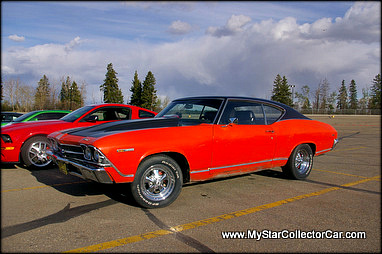 We liked the way it looked and the excellent reason that its current owner has the car. There is no better car guy legacy than to see the car stay in one family and build even more memories about the car as the years go by in life.